I've tried being a good Twitter citizen. Following those that follow me. But the incessant ebb and flow of people following me OBVIOUSLY just to get their numbers up is beyond annoying. I follow those that I find add the value that I want to SEE in my stream. If you want to follow me, I've given up on figuring out WHY. I would hope that you see value in what I have to say, but honestly, I know that 95% are just doing in the hopes that I follow back and pump those numbers up for you. Here is a GREAT example of the problem. 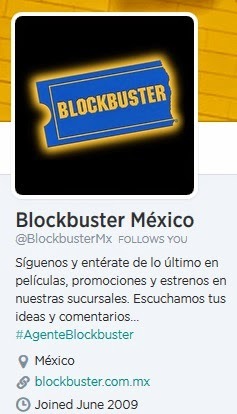 Now, I have no IDEA why "Blockbuster Mexico" would CHOSE to follow me. I certainly WOULD NEVER look for them to follow them. I have no issue with their stream but I am not fluent in Spanish. I'm sure there are VERY targeted people and institutions on Twitter that would LOVE the follow and would follow them back, but NOT me. But that's the problem! They seem to be operating on the old idea of just getting the numbers up, but the majority of Twitter users DON'T need the numbers. They need the RIGHT numbers. 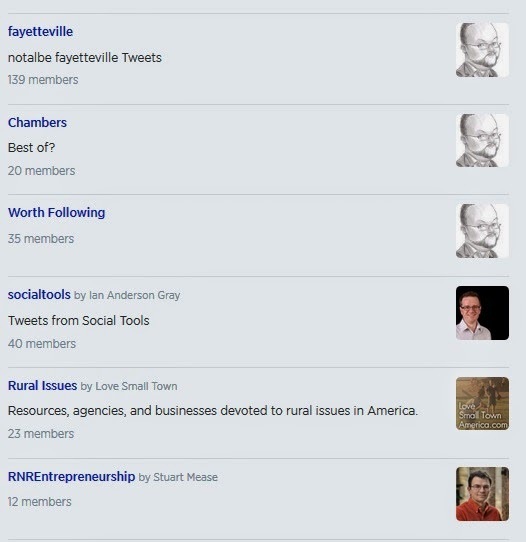 But that's not for me to decide- for me though, I have taken to using lists based on what I want and need from Twitter. Not huge, but I find it invaluable for quickly seeing what people are saying based on location, issues, etc. I guess one reason I did this as you can see, there were plenty of folks that because of their algorithm, Twitter would not let me follow. I put them in a "wait list." I am ok with my numbers for now. Are they askew? I don't know. I see some following 3 and with 30000 followers. And others that go the other way. I've kept a balance of following folks I wanted to glean info from and have conversations with. Hopefully, you are using the lists to their fullest. I like some of the outside tools, but why go there if you don't have to?